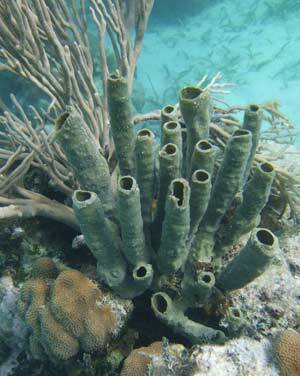 Snorkeling Rendezvous Caye in Belize is well worth it, if you can get out to this little piece of tropical heaven. It is a tiny tropical island with palms and a small shade shelter or two. 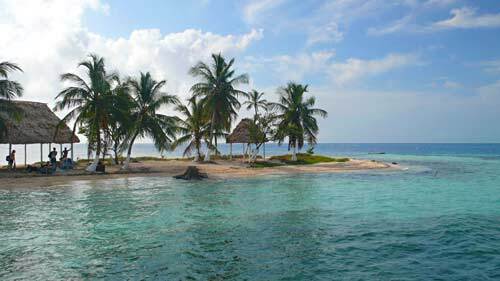 Rendezvous Caye is about about halfway between Belize City and Dangriga, out on the reef between Middle Long Caye and Bluefield Range. 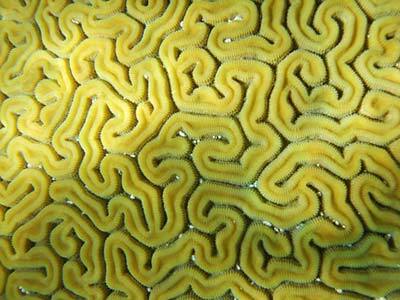 It is located right on the barrier reef. It is deep open ocean on one side, and shallow on the other and surrounded by a coral reef. You might think based on the picture below that the island has more to it, but you are actually seeing eighty percent of it. It can be confusing though because it appears there are a few places people call Rendezvous Caye in Belize. The cruise ships sometimes book folks on a snorkel trip to a "Rendezvous Caye" that reportedly has no trees, so it is not this one. And there are a few more. This one is marked on charts. Rendezvous Caye was one of the locations we stopped at on our week long catamaran sailing tour of Belize snorkeling spots. But you can get out there with a tour company or a sailing camping group. The snorkeling is really very good. The reef is particularly healthy here because it is basically right on the ocean, so it gets flushed regularly with sea water and a variety of species frequent the area. The snorkeling is along the north and south sides of the island, more to the open ocean side of things. 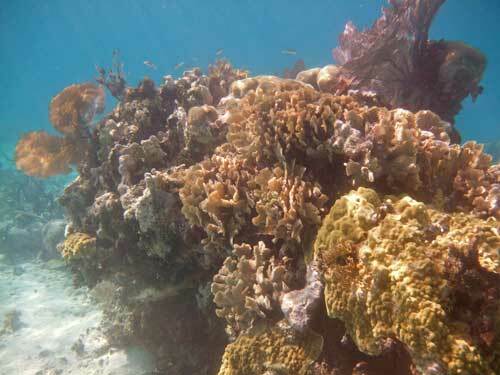 There are some very beautiful shallow reef areas close to shore, and then it just drops off into the blue depths. 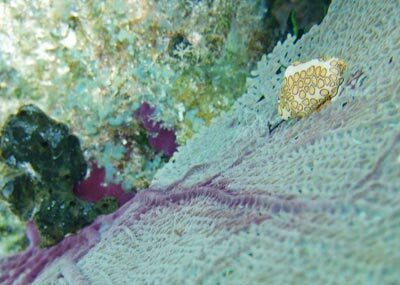 We saw a very nice variety of hard and soft corals, fans, sea rods, and sponges here. Although the spot was not heavily abundant in fish, there was a nice variety. 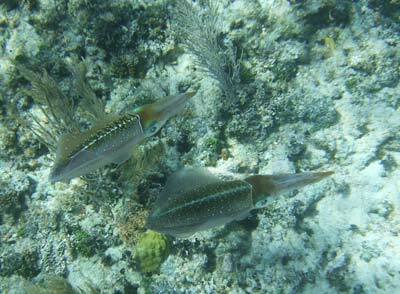 When snorkeling Rendezvous Caye while there may not have been a ton of fish, we did have a great experience with a group of Caribbean Reef Squid (see below). These amazingly color changing creatures were so evidently intelligent that it was simply amazing. You could just see how interested they were in us, and how family oriented they appeared to be. It was a wonderful experience hanging out with them, and fortunately not our last in Belize. 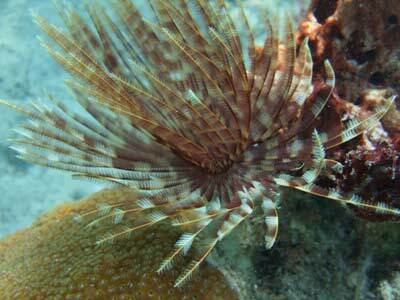 Below is another beautiful creature that is common in the Caribbean. 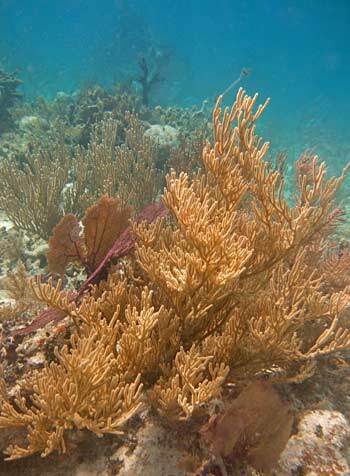 The little white object with yellow spots hanging on the side of the sea fan is called a Flamingo Tongue. It is a little snail in the Mollusk family. 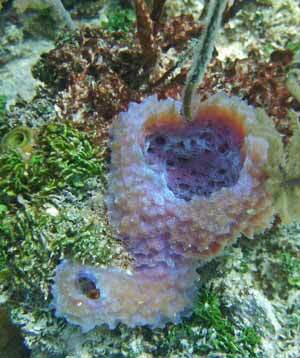 They feed on soft corals. 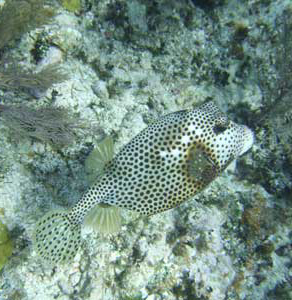 And the fish to the right is a Spotted Trunkfish. 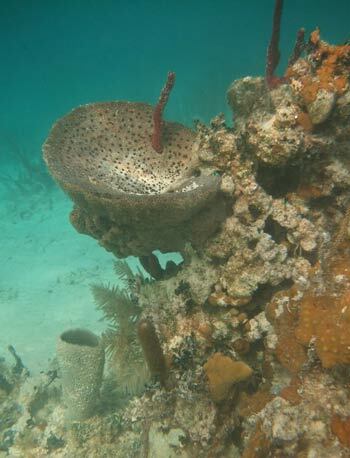 We also found a number of beautiful sponges when snorkeling Rendezvous Caye. 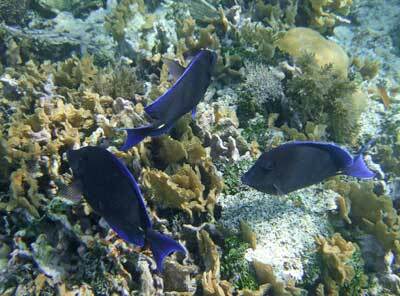 Hopefully you have enjoyed the pictures we took snorkeling Rendezvous Caye. If you get the chance to snorkel it it is easy to recommend, so long as it is not to windy. 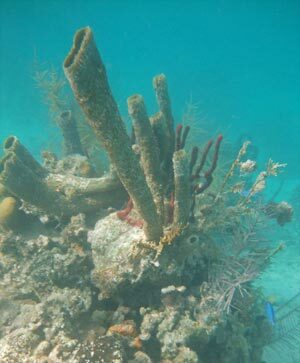 Return to the snorkeling Belize main page.